Highly acclaimed and internationally renowned Creative Director, Drew Anthony brings an audacious creative vision to this year’s festival program. 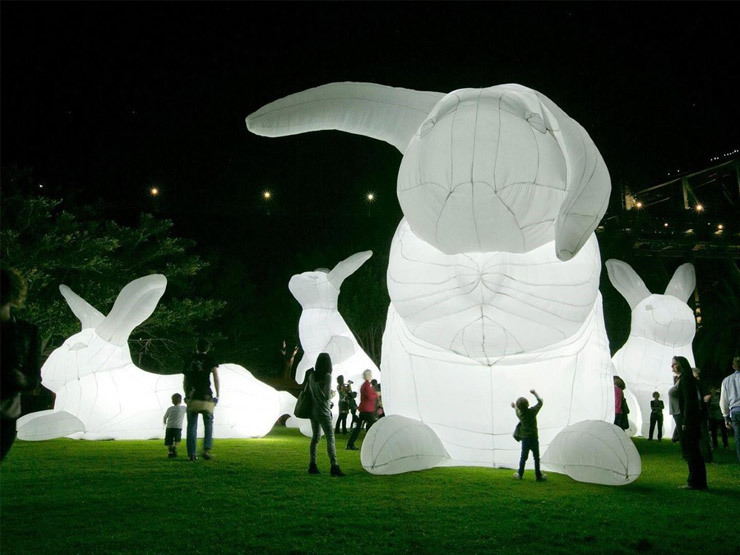 He has secured a wide-ranged line up of local, interstate and international artists, set to entertain and inspire all ages with their innovative and awe-inspiring installations, projections and performances. 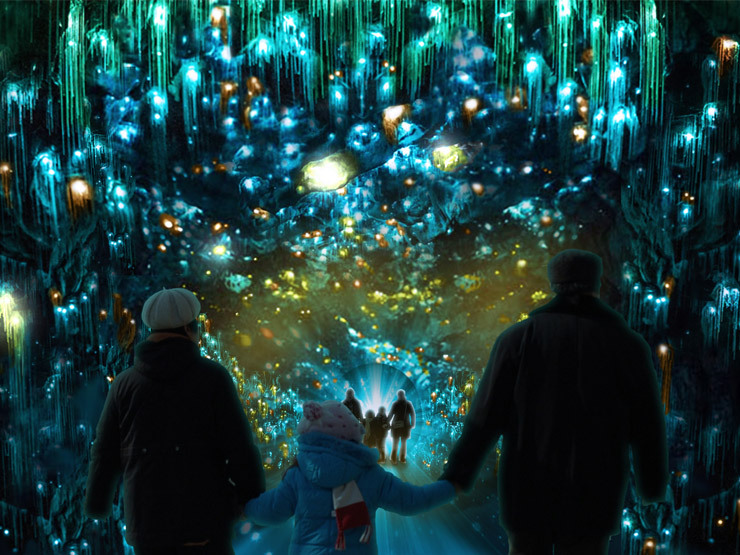 Joyeux Noël is an elegant, immersive, joyous and enthralling installation for the whole family. Powered by Synergy and designed by WAAPA third year student Maeli Cherel, this walk through tunnel, full of texture, colour and light, will delight you with its twinkling walls, glistening ceiling and magical atmosphere. Make sure you hold hands with a loved one on your way through. 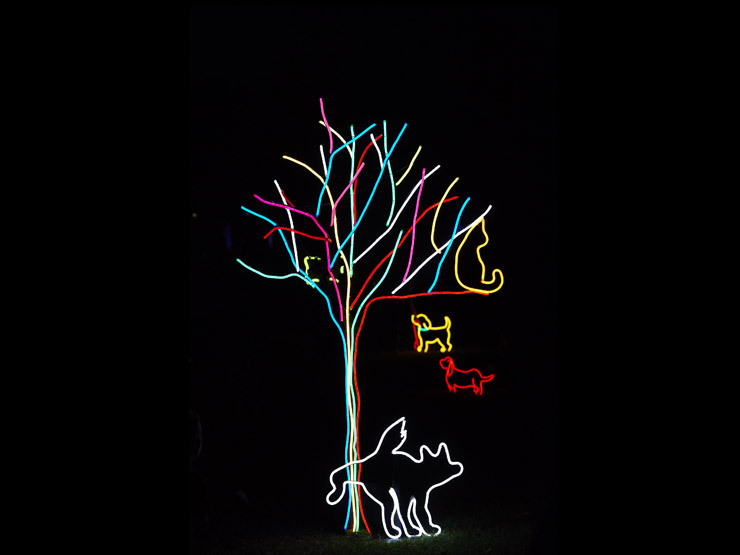 Joyeux Noël will get you excited and inspired to be involved in Synergy’s Xmas Lights Trail which kicks off in less than 80 days. 1000 Cranes is inspired by an ancient Japanese legend: if a group of 1000 origami cranes (senbazuru in Japanese) are hung in a home they will act as a powerful and benevolent charm and bring good luck. Senbazuru came to symbolise hope in Japan through the actions of a young girl dying from the effects of the bombing of Hiroshima in 1945. Sasaki Sadako began a senbazuru – but tragically, was unable to complete her task. However, after her death her classmates completed it in her honour. The creators of 1000 Cranes believe that the senbazuru legend has great significance in a world deeply affected by instability and negativity. 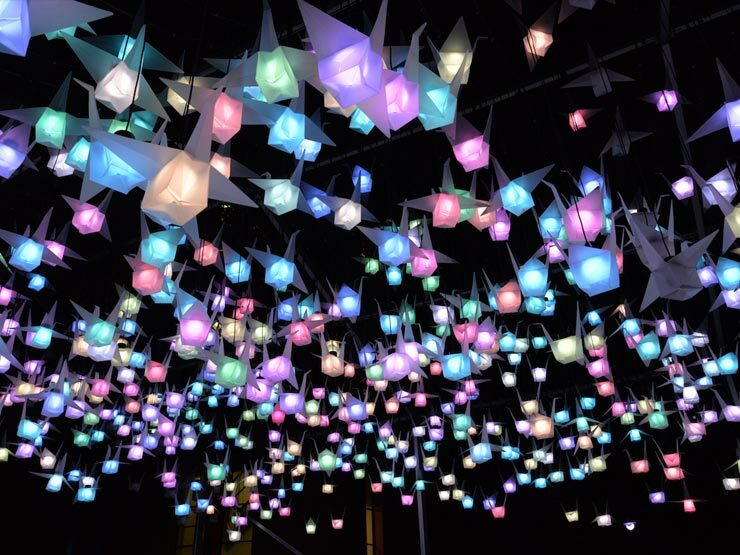 As visitors move through the installation, 1000 hanging origami cranes light up bringing joy and hope to all. 1000 Cranes will be located inside Lakeside Joondalup Shopping City for the duration of the festival.